East Croydon station provides direct train services to central London, the south coast and Bedfordshire. National Rail can provide full details of all scheduled services, up-to-date service status and planned engineering works. Fare discounts for Railcard holders are available for qualifying journeys. Southern are the main train operator from East Croydon. They provide services to London Victoria, London Bridge, Clapham Junction, Norwood Junction, Gatwick Airport, Brighton and the south coast. First Capital Connect operate the Thameslink services to and from Bedford and Brighton via London Blackfriars, St Pancras International, Gatwick Airport and Luton Airport Parkway. 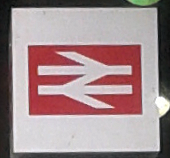 Although the Gatwick Express service, which runs between London Victoria and London Gatwick, passes through East Croydon station, it does not stop there.